1. Roman attempts to recapture Gaul kingdoms have turned futile. 2. John’s futile efforts to learn baseball didn’t get discourage him at all. 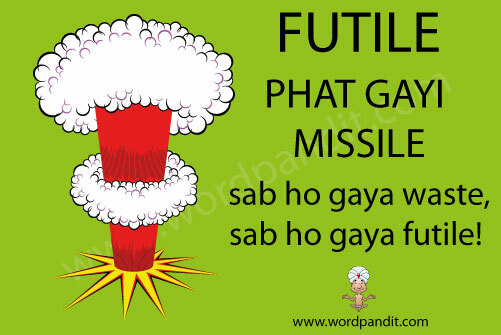 Want to explore more Hinglish Words?